If you could choose to work from anywhere, where would you go? To a bustling city, a tranquil beach, a snow-capped mountain, a lush rainforest? Or maybe all of them? Welcome to the life of the digital nomad. You may be surprised by the rapidly increasing amount of people calling their home their workplace. According to a survey published by Upwork, there were already 4.1 million people working as freelancers in Australia in 2015. Some of these people sell everything they own and change their whole life to work entirely on the road, travelling 365 days a year. These people are what we call ‘digital nomads’ and they work from the best places around the country or overseas. Their place of work is location independent – they can work from a campervan, set up their laptops in a fantastic café or type emails from the beach. Nomads are challenged not only by all the beautiful sights of the world they want to see first, but to balance productivity with play too. In recent years, many shared workspaces have popped up all around the world, which help digital nomads get done what they set their minds to. These shared spaces are great to meet like-minded people to bounce around ideas, build a network or simply just share travel stories from the road with other digital nomads. So are you ready to fall in love with life, work from your laptop with only need of a good Wifi connection while you see incredible places and travel wherever whenever you want to? The six cities below are possibly some of the best suggestions for remote work, digital nomads and other people working from their laptop. Factors included are estimated cost of living, internet speed, existing coworking spaces and overall quality of life. Out of all the big Australian cities, Sydney is at the top of the shortlist. 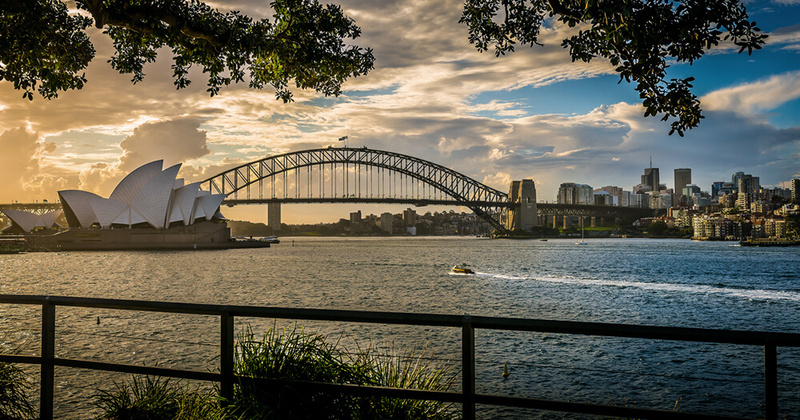 For digital nomads and/or remote workers, this bustling metropolis with its beautiful Opera House, Harbour Bridge and world-famous beaches also boasts a thriving startup and entrepreneurial scene. As Australia's most populous city and the state capital of New South Wales, Sydney also is unfortunately one of the most expensive cities in the world, let alone in Australia itself. A monthly coworking membership will start around A$500/month. A great favourite is Fishburners, but try Tank Stream Lab, Hub Sydney or another one of Sydney’s best coworking spaces. Living costs can be as high as A$2,900/month or more. This might not be the most attractive environment for startups or even bootstrappers, however local and international investors are present here if you’re looking to pitch your ideas and raise funds. Internet speed is decent at 35mbps but lags a little behind other major cities around the world. Sydney can easily even out the high cost of living with having so many things to see and do, a prosperous entrepreneurial scene, and great weather conditions year-round. The overall quality of life is good here. Despite being a big city, Sydney somehow still has a relaxed feel to it. It’s easy to escape to many beautiful landscapes with a quick one to two-hour drive – beautiful national parks, beaches, waterfalls, mountains, bays and even the snow. 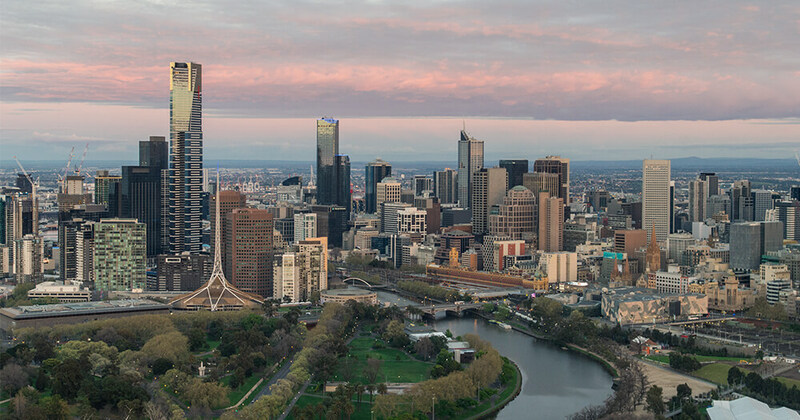 It probably comes as no surprise that Melbourne has been ranked as the world's most liveable city for a sixth consecutive year. Melbourne is Australia’s second most populous city after Sydney. It’s known for its diverse arts scene, amazing alleyways and café culture. Living in Melbourne could set you back as much as living in Sydney, however, the further out you go from the city, the less expensive it gets. A membership in a coworking space for a month starts at about A$500, but then there are lots of awesome cafés with free Wifi, where you possibly could work from too. If you are after a coworking space, try the beautifully designed space called The Commons, the pioneering Inspire9 or Hub Southern Cross, which belongs to the same network as Hub Sydney with an astonishing 400mbps fibre Internet connection. The average Internet speed in other parts of town is generally around 30mbps. There are many amazing adventurous possibilities close by like the Great Ocean Road, the Yarra Valley and St Kilda Beach. You also may fancy a sip of world-class coffee, a road trip, head off to the coastal beaches to catch a wave or jet off to the national parks of Tasmania all in just one week. 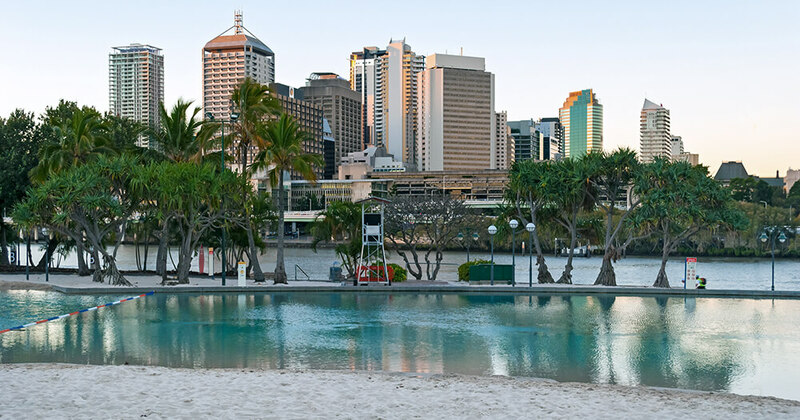 Brisbane, in sunny Queensland will impress with a great climate all year round, world-class beaches of the Gold Coast to be reached in less than an hour as well as a laid-back outdoor lifestyle many residents of the city embrace so much. Brisbane is possibly one of my favourite cities to live in Australia. Living costs in Brisbane are lower compared to Sydney or Melbourne and you may get by comfortably with roughly A$2,200/month, with coworking space memberships starting as low as A$300/month. Try River City Labs, an amazing coworking space with a tech-minded community. Or head to The Ice Cream Factory Collab in West End, one of the hippest corners of town. And then there is Little Tokyo Two, located centrally in the CBD, which has a diverse startup community and strong events scene. Internet speeds between at 5-10mbps are normal in most public places. With such a huge outdoorsy lifestyle due to its fantastic weather, relatively decent cost of living and small but dedicated community fostering innovation and entrepreneurship, Brisbane really deserves a big tick on the overall quality of life! Just an hour south of Sydney lies the seaside city of Wollongong. This Australian city is perfect for entrepreneurs and digital nomads who are looking for a smaller community of like-minded individuals. Despite being small, this community is definitely not lagging behind in terms of innovation and startup scene. 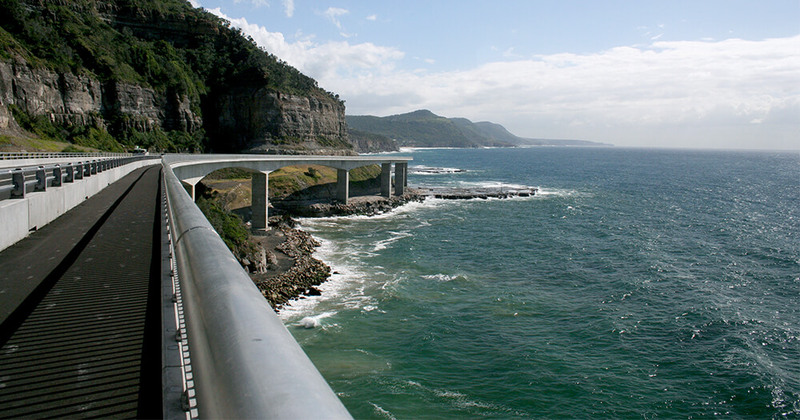 Nicknamed "The Gong", you can swim and surf almost all year around here, take a trip towards the infamous Sea Cliff Bridge or head further south exploring smaller coastal towns. The cost of living in Wollongong starts around $1,800/month, while $299/month already buys you a full-time 24/7 membership in the local coworking space, ZigZag Hub. Or if you are in town for short-term only, you can use their free one-week trial. Another forerunner with modern facilities in town is iAccelerate Start, a coworking venue where you can gain easy access to mentoring and other professional services to help you in refining and validating your business ideas. Internet speed is really not bad around here, at 50mbps on average. Nature, low cost of living right by the beach and a growing innovation and startup scene driven through the many young people in the city, Wollongong definitely gets a great overall life quality score. When you hear Gold Coast, what comes to mind? Long golden beaches, surf-able waves and an abundance of nature? You'd be correct - it definitely has all that, plus a whole lot more. The Gold Coast is another place for budding entrepreneurs and digital nomads and it can be often overlooked as such. 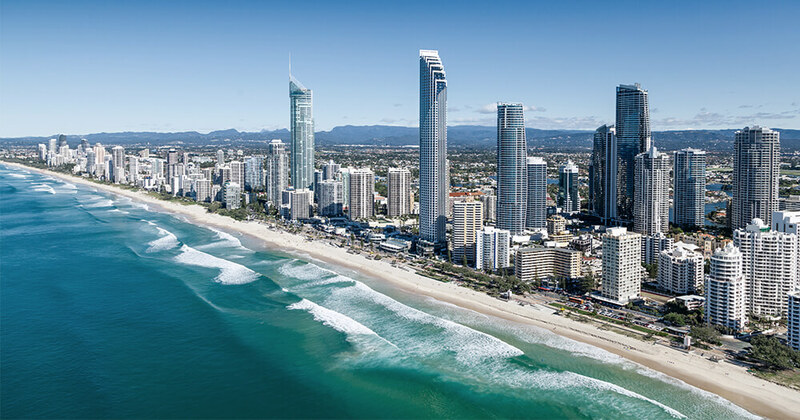 Also situated in the sunshine state of Queensland, it is the largest non-capital city and the sixth largest Australian city. The cost of living starts at about A$1,900/month. A coworking membership is not significantly cheaper around here than in the big cities, unfortunately, but there are definitely some other great advantages. For instance, the New York loft-inspired space Warehouse No.5, situated in Burleigh Heads is a free collaborative workspace. At night it transforms into a venue for special events and creative workshops, which are also worth checking out. Otherwise, have a look at Co Spaces Exchange, a workspace mainly targeted towards creatives or Cojimbo situated towards the Northern Gold Coast area. Internet speed can be found at around 20mbps. Living cost is certainly not the cheapest, especially if you want to live closer to the beach. However, if you live inland, there are still plenty of opportunities to enjoy an active outdoor lifestyle with a variety of entertainment close by which makes for a very good overall quality of life. Another plus is the proximity to Brisbane, where startup and entrepreneurial talent is strongly on the rise. The capital of Tasmania may not have been first on your list of cities to consider living in, as an aspiring entrepreneur or digital nomad. Yet, there are some brilliant reasons to have a peek at the island state just south of the Australian mainland. As the least populated capital city in Australia, the cost of living lies at about $1,600/month with decent internet speed at around 30mbps. 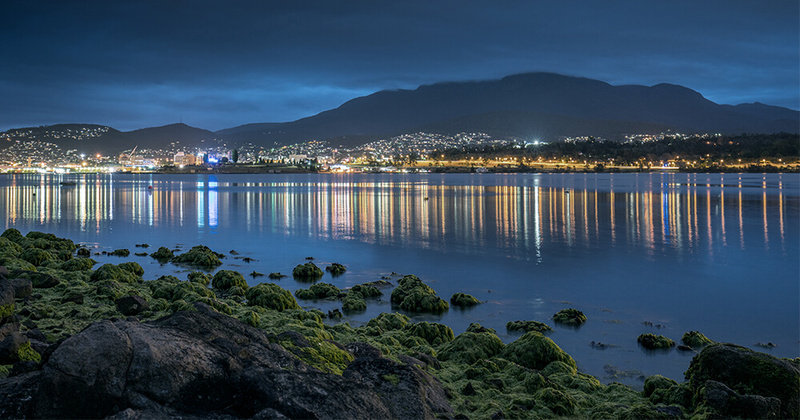 With Mount Wellington as the cities backdrop, the state is full of breathtakingly beautiful wilderness including the Bay of Fires, Cradle Mountain National Park and Wineglass Bay. You may not have guessed it, but there is a startup scene in Hobart too. Getting a coworking membership at the coastal coworking space called Parliament or at The Typewriter Factory right in the CBD will set you back about A$330/month. So, which Australian city would you consider as a digital nomad? Working location-independently today is easier than ever before. Opting to start your own business, work remotely or freelance from the road as a digital nomad could well be the best decision you’ll ever make. When you set up as a base for a while in one of these amazing cities around Australia, like-minded people are to be found everywhere! If working from home isn’t entirely your thing, just get out and hit a coworking space, cosy café or make an appearance at one of the many meetups to meet passionate people like yourself around the country that will help you get started and strive for nothing but success. If you love travelling, there are career choices you can make to have a lifestyle of perpetual travel, while working online. Learn more about becoming a digital nomad here. Originally from Germany, Carolin travels the world for a living. Since becoming a digital nomad over two years ago, she has called many places home: Chiang Mai, Darwin, Sydney, Bali, Barcelona and Brisbane. Carolin works location-independently as a social media specialist, content strategist and creator whilst doing the odd web design project and running her travel blog. She enjoys house sitting, being a digital nomad and adores Australia - her favourite country in the world.